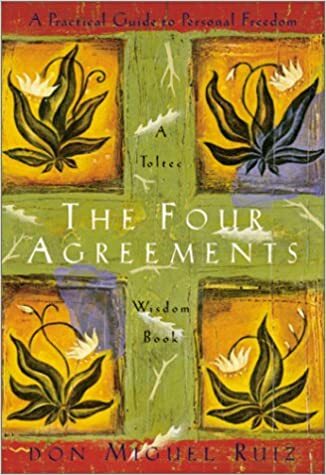 If there is one book that can help us to understand why we are the way we are and get us started making profound changes to the path we are currently on, The Four Agreements by Miguel Ruiz is the one. There are so many hurdles on our path to living a fulfilling life that it is understandable that we would choose to take the path of least resistance, the path that is already laid out for us. When we deviate too far from society’s path we start to experience all kinds of negative emotions from within us as well as scorn and judgement from without. Creating our own path in life could require a complete mental, emotional, and even physical overhaul, and that can feel damn near impossible. So we make the best of the hand we were dealt. We set out to build our future with the only instructions and tools we have available. But Ruiz beautifully points out that we do not have to follow the instructions given to us and we are not limited to the tools society had provided us. We have within us the ability to develop a new set of plans and create a custom set of tools needed to build our own personal life path. At the core of this rebuilding project is our character. Who we currently are, the person that we have become is a product of our programming. Day by day, at home, at school, at church, and from television, we are told how to live, and what kind of behavior is acceptable. The environment we grow up in teaches us how to be human. And we learn to judge: We judge ourselves, judge other people, judge the neighbors. One of the toughest and most important things we can work on is to stop judging. Stop judging others and as importantly, to stop judging ourselves. Unfortunately, we have learned to judge everything and this judgement is based on the rules we were and still are given during our programming. And whenever we do something that goes against these rules we get a special feeling deep in our gut and that feeling is fear. These rules that we are programmed to follow and the self-judgements that it leads to are all part of what Ruiz calls - The Domestication of Humans. Ninety-five percent of the beliefs we have stored in our minds are nothing but lies, and we suffer because we believe in those lies. The optimistic view is that even though we didn’t necessarily choose the behaviors that make us who we are today, we have the power to choose the behaviors that will make us the person we want to become. The first agreement is to be impeccable with your word. It sounds very simple, but it is very, very powerful. Your word is the power you have to create. Through your word you express your creative power. The human mind is like a fertile ground where seeds are continually being planted. The seeds are opinions, ideas, and concepts. You plant a seed, a thought, and it grows. The word is like a seed, and the human mind is so fertile! The only problem is that too often it is fertile for the seeds of fear. Gossiping has become the main form of communication in human society. It has become the way we feel close to each other, because it makes us feel better to see someone else feel as badly as we do. There is an old expression that “misery loves company,” and people that are suffering in hell don’t want to be alone. To be impeccable with our word, we must realize that when we gossip, we are not respecting the absent, and that our opinions are just our points of view and are not necessarily true. When we catch ourselves gossiping about someone or try to force our opinions on someone else, we need to ask ourselves why we are doing this. Most often the answer will not justify the reason why. Personal importance, or taking things personally, is the maximum expression of selfishness because we make the assumption that everything is about “me.” During the period of our education, our domestication, we learn to take everything personally. We think we are responsible for everything. Even if others lie to you, it is okay. They are lying to you because they are afraid. They are afraid you will discover that they are not perfect. It is difficult to take that mask off. The whole world can gossip about you and if you don’t take it personally you are immune. We only see what we want to see, and hear what we want to hear. We don’t perceive things they way they are. We have the habit of dreaming with no basis in reality. We literally dream things up in our imaginations. Because we don’t understand something, we make assumptions about the meaning, and when the truth comes out, the bubble of our dream pops and we find out it was not what we thought it was at all. It is very interesting how the human mind works. We have the need to justify everything, to explain and understand everything, in order to feel safe. 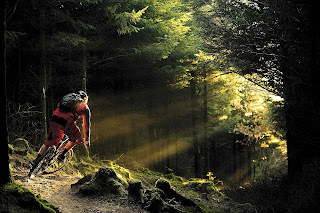 We make the assumption that everyone sees life the way we do. We assume that others think the way we think, feel the way we feel, judge the way we judge, and abuse the way we abuse. The way to keep yourself from making assumptions is to ask questions. Make sure communication is clear. If you don’t understand, ask. Have the courage to ask questions until you are clear as you can be, and even then do not assume you know all there is to know about a given situation. Your best is going to change from moment to moment; it will be different when you are healthy as opposed to sick. Under any circumstance, simply do your best and you will avoid self-judgement, self-abuse, and regret. When you always do your best, you take action. Doing your best is taking action because you love it, not because you are expecting a reward. Action is about living fully. Inaction is the way we deny life. Don’t expect that you will always be impeccable with your word. Your routine habits are too strong and firmly rooted in your mind. But you can do your best. Don’t expect that you will never take anything personally; just do your best. Don’t expect that you will never make another assumption, but you can certainly do your best. If you break an agreement, begin again tomorrow, and again the next day. These are some difficult ideas to process, believe in, and ultimately model our lives around. We have made many mistakes in life and we will continue to do so. And even if we fully adopt the four agreements as the framework on which we will model our lives, we will make mistakes with them as well. But it is the fourth agreement that will allow us to stay the course. When we make a mistake, even a big one, we just need to ask ourselves if we did our best. If we didn’t, then that gives us something to work on, and if we did, then we make the necessary apology, rectify the mistake as best we can, accept ourselves for being a flawed human, and then move onward. That’s all we can do. Remember - Focusing on the past leads to guilt, focusing on the future leads to worry, but focusing on the present is living. If you are ready to make a fundamental change in your life and you could use a little guidance, reading The Four Agreements is a great place to start.